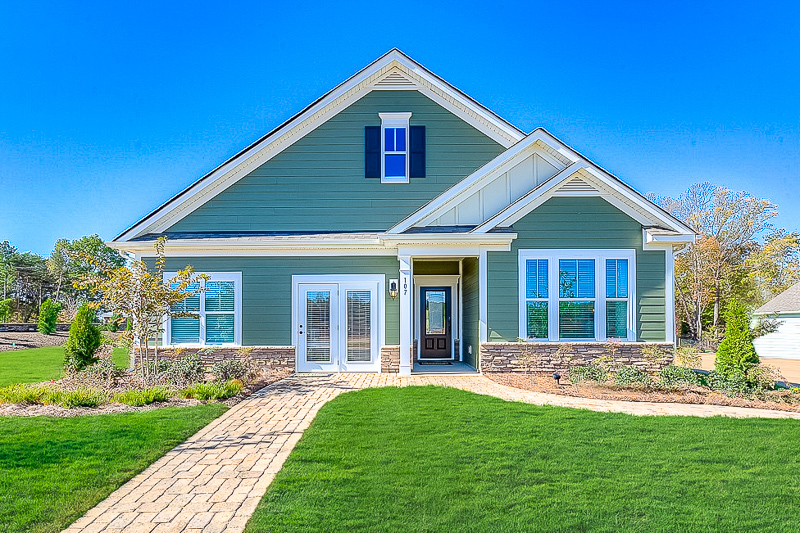 Lake Walk Freedom Homes is a brand new active lifestyle community in Mooresville, North Carolina. This low-maintenance community will consist of just 121 homes when finished by builder D.R. Horton. With nearby access to Interstate 77, residents will enjoy the ability to get around quickly while being close to all the great recreational opportunities at Lake Norman. While there is no clubhouse at Lake Walk Freedom Homes, there are still many amenities for homeowners to enjoy. You'll be able to swim in the outdoor pool or relax and read a book on the patio. Challenge your neighbors to a friendly game of bocce or walk and bike along the community's trails. 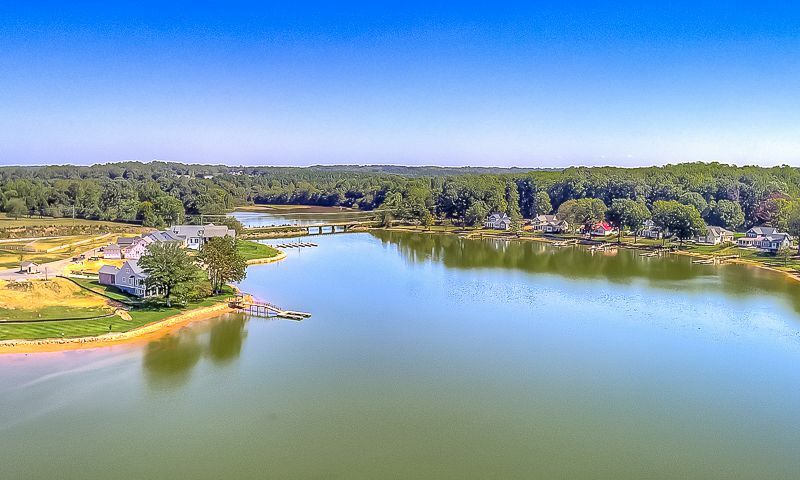 As a resident of Lake Walk Freedom Homes, you will have direct access to Lake Norman, a large boating lake in the area. D.R. Horton began construction of Lake Walk Freedom Homes in 2017. Upon completion, this community will include 121 single-family homes in five distinct designs. The floor plans range in size from 1,588 to 1,906 square feet. They will include two or three bedrooms, two bathrooms, and an attached two-car garage. These detached residences feature energy-efficient designs, one-story living, open layouts, elegant master suites, inviting living and dining rooms, and flex rooms. Thanks to the homeowners' association handling lawn care and snow removal, residents have more time to pursue new hobbies and activities at their leisure. They can go for a morning stroll or jog around the neighborhood for some exercise or spend time outdoors on a sunny day swimming and appreciating nature by the lake. Residents spend their time playing bocce and attending holiday parties or starting new clubs instead of worrying about home maintenance. Lake Walk Freedom Homes is located in Mooresville, North Carolina. Homeowners are located near many shopping, entertainment, and dining opportunities throughout downtown Mooresville. The community is also just 25 minutes from Charlotte, offering both big city and small town attractions. Lake Walk Freedom Homes is located right on Lake Norman and allows its residents to live a resort lifestyle with 520 miles of shoreline. The area offers a mild climate that makes Lake Norman home to numerous attractions. Lake Norman is packed with all sorts of events and things to do in Cornelius, Davidson, Huntersville, and the surrounding areas. Whether you want to fish for bass, shop at unique stores, or attend cultural events, living in Lake Walk Freedom Homes offers many options to stay active throughout the Central North Carolina area. There are plenty of activities available in Lake Walk Freedom Homes. Here is a sample of some of the clubs, activities and classes offered here. Upon completion this community will include 121 single-family homes in five distinct designs. The floor plans range in size from 1,588 to 1,906 square feet. They will include two or three bedrooms, two bathrooms, and an attached two-car garage. These detached residences feature energy-efficient designs, one-story living, open layouts, gourmet kitchens, elegant master suites, inviting living and dining rooms, and flex rooms. 55places.com is not affiliated with the developer(s) or homeowners association of Lake Walk Freedom Homes. The information you submit is distributed to a 55places.com Partner Agent, who is a licensed real estate agent. The information regarding Lake Walk Freedom Homes has not been verified or approved by the developer or homeowners association. Please verify all information prior to purchasing. 55places.com is not responsible for any errors regarding the information displayed on this website.